Art Deco with a Contemporary Twist! Walton-on-Thames, Surrey. 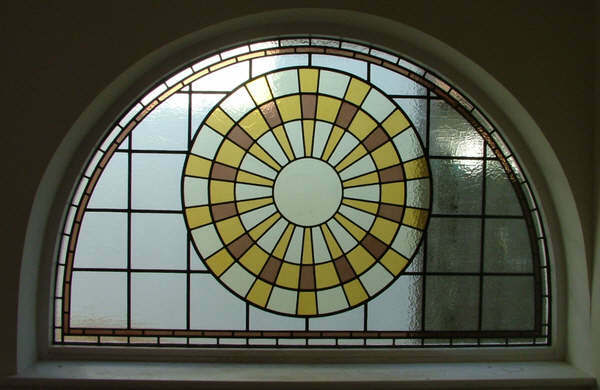 The design of this large semi-circular window is based on the sunburst clock designs of the 1930’s. The location is in the original doorway to what was a 1930’s bungalow in Walton-on-Thames. The bungalow has been developed into a very comfortable 2 storey family home and we have made a feature of the old doorway and its accompanying diamond shaped side light. Now, as one walks into the house from the front, there is a large spacious hallway with these feature windows to the left. 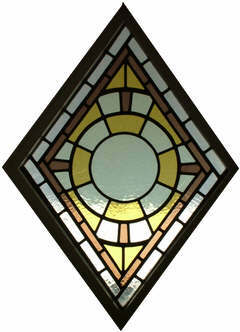 The windows have the added bonus of being made from obscured glass and then encapsulated into sealed units. These comprise 4mm toughened glass sandwiching my traditional leaded panels. 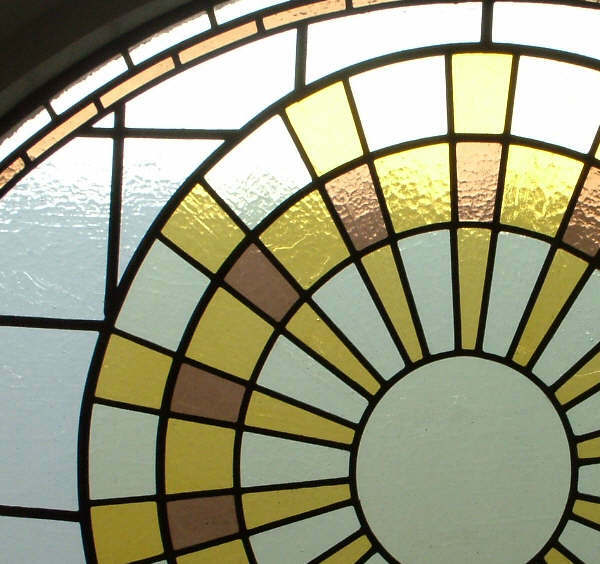 This creates a wonderful decorative yet safe and energy saving glazing solution. Error: Error validating access token: Session has expired on Monday, 08-Apr-19 03:56:55 PDT. The current time is Friday, 19-Apr-19 11:21:26 PDT.